On January 07, 2017 we became Team Robot Garden. We named our autonomous robot Victoria after the only one of Magellan’s ships to complete the circumnavigation. It doesn’t hurt that Victoria is the Latin word for ‘victory’ or ‘conquer’. 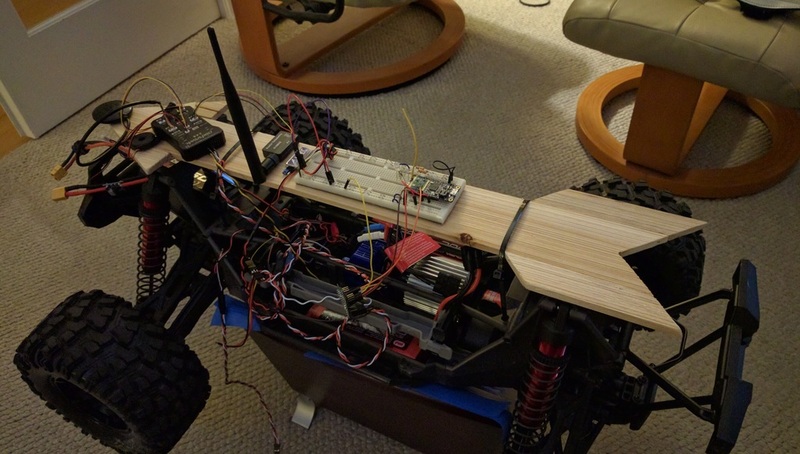 A GPS antenna and PixHawk running ArduPilot Rover which navigates to the destination waypoint. 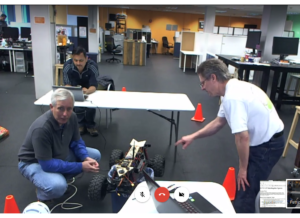 Cone detection software then uses OpenCV and a camera to find the cone. ROS is the executive command software. Safety radio prototype. A fail-safe stop switch to shut down the robot if needed.